ASHTON, S.D. 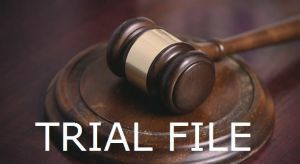 - A judge has denied a court-appointed attorney for an Ashton man accused of starving his cattle. The Aberdeen News reports Magistrate Judge Mark Anderson has ruled that Rex Spear has enough money to hire his own attorney. The 63-year-old Spear is charged with animal abuse and neglect. Prosecutors say starving cattle were found on his property in Spink County, prompting the seizure of 75 head of cattle and one horse. He was arrested in June and posted bond. He's due back in court Aug. 7.